Worplesdon Rangers Football Club » Saturday 21st January 2017: Northmead Closed for Training! Saturday 21st January 2017: Northmead Closed for Training! Please be advised that Northmead will NOT be open for training this morning as the pitch is frozen. 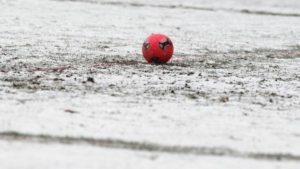 For all other pitch status reports this weekend, please check with your Team Rep.